Welcome to the Seal Conservation Society! 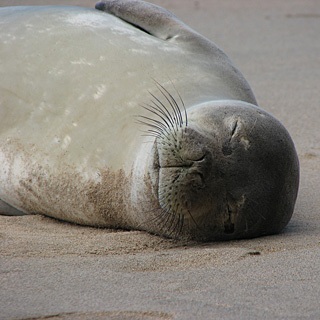 Welcome to the Seal Conservation Society website! We hope the new site will be able to combine information on seals, sea lions, fur seals and walruses worldwide with projects that will help to promote scientific knowledge, understanding, conservation and welfare of these wonderful animals. Our society's founder, Peter Haddow, constructed the species information pages more than 15 years ago. The pages have stood the test of time excellently, but we are now gradually updating the pages one species at a time and inserting references for the benefit of biologists and students. Peter also ran an excellent 'Pinniped news' newsletter. We can't quite manage that now, but as a substitute we are endeavouring to provide links, in our 'news' section, to published news items as they occur. Our project section is an area where many people, including amateurs and students, may be able to get involved. The Society has no funds at present, and projects are being run on a voluntary basis. However, we may be able to apply for small grants to fund local projects to benefit seal conservation and/or welfare. Our most active welfare project at the moment involves comparing seal pups in rehabilitation and seals in captivity with free-living seals, and there is therefore scope for volunteers around the world to participate. We may also be able to provide an e-centre for information on seal sites (such as seal site inventory or index site projects). If anyone has an idea for a new project, or woud like to participate in an ongoing project, they should contact the society. If funds are donated to the society, these may be used to help fund these projects. The Seal Conservation Society is UK/Ireland-based and so much of our own specialisation is on harbour (common) and grey seals, and much of our own personal focus is on seal conservation and welfare in the UK and Ireland. The society Chairperson (Dr Sue Wilson) has spent much time and energy over the past few years in working, together with other NGOs, to get seal conservation law improved in Scotland. The new seal conservation law in Scotland is not being implemented as we had hoped and worked for, and much more work and negotiation remains to be done. Having said all this, we should clarify that we are not a campaigning society - there are other NGOs who already perform this function, and our aim would be to lend support where appropriate. However, our main focus is on conservation biology and welfare, through which we aim to try to promote knowledge and encourage local changes that may, one small step at a time, add up to making the world a better and safer place for seals.